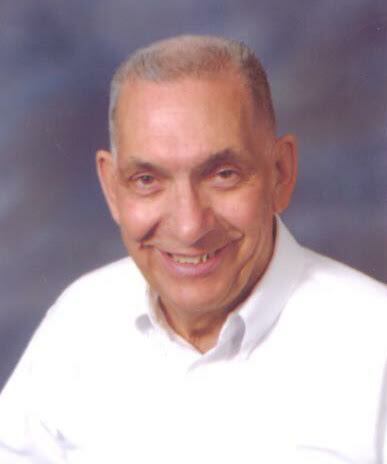 Leon J Rowley, beloved husband, father, grandfather and brother left his earthly home and entered eternity on Tuesday, May 31, 2016. He was born in Provo, Utah, October 29, 1931, the first child of Joseph Hyrum and Zenda Wentz Rowley. Leon was raised in Orem, Utah, attending Spencer Elementary, Lincoln Junior and Senior High School. He served as junior class president and enjoyed playing baseball and basketball. Immediately after high school graduation he enlisted in the U.S. Air Force, serving as a ground radio operator in Okinawa for 10 months during the Korean War. He married Fay Griffiths June 19, 1951, in the Salt Lake Temple and they made their first home in Tampa, Florida, where Leon was stationed at Mac Dill Air Force Base. After an honorable discharge from the military, he moved his family back to Utah. He graduated from Brigham Young University with a degree in education. For the next 36 years he taught at Lincoln Junior High, Provo High and Timpview High Schools impacting the lives of the students he taught. He enjoyed his profession and was well loved by all who had the privilege of working with him. He is survived by his wife, Fay; children: Jolene Cannon (Eldon), Virginia Ford (Brandon), Thomas Leon (JoLynn), Daniel James (Allyson,) John Scott (Tish), Robert Wayne (Crystal); 18 grandchildren; 26 great grandchildren; and brothers, Kent and Evan Rowley. He was preceded in death by his parents and brother, Merlin W Rowley. Friends may call at Metcalf Mortuary in St. George, Thursday, June 2, 2016, from 7-9 p.m. or Friday, June 3, at Olpin Sundberg Mortuary, 495 S. State in Orem from 7-9p.m. and Saturday June 4, at 10 a.m.
Funeral services will follow at 11 a.m. on Saturday with interment at East Lawn Memorial in Provo, Utah.